The subject of giant constrictor attacks upon people always brings out wild claims. While working with Green Anacondas in Venezuela, I tried to track down 2 reports of human predation, but was unable to prove or disprove either. I recall reading several well-authenticated accounts in old issues of Herpetologica, and sadly, have first-hand knowledge of a tragic incident involving a captive Burmese Python in NYC. But a recent article on the Agta people of the Philippines took me very much by surprise – from 1939-1973, 26% of all Agta men, and 2% of the women, had been attacked by Reticulated Pythons! The article, published in a recent issue of The Proceedings of the National Academy of Science of the USA, was co-authored by a prominent herpetologist and a scientist who lived with the Agta people, in a remote region of the Philippines, for 24 years; some impressive photos are included as well (please see abstracts, below). Carefully-designed interviews established that at least 6 fatalities occurred over a 39 year period. In one tragic case, 2 children were taken by a single snake on the same night. As is true elsewhere, chickens and dogs were also preyed upon near villages. The largest snake encountered by the author was nearly 23 feet long, the 3rd largest of its species to be accurately measured. The Agta people are small in stature, with adult men averaging 4’6” in height and 97 pounds in weight. This is well within the size range of the prey that has been recorded for large constrictors. The largest snake meal of which I’m aware is a 130 pound Impala taken by an African Rock Python. A Green Anaconda that I collected for tagging disgorged a 60 pound White-Tailed Deer, which tops anything I’ve witnessed personally (“tops” referring to just about any event, snake-related or otherwise!). Please see Giant Snake Meals. for details on these and similar observations, including the 139 pounds of food (3 animals) taken by a 25-foot-long Reticulated Python over a period of several days. People and Pythons: Intertwined Evolution? The Agta have long hunted pythons as a food source, and of course kill any that threaten people or livestock. Several non-human primates are also known to attack and/or consume snakes, and snakes of various species have killed individuals from at least 27 primate species. An interesting question is raised by the authors: what, if any, effect has all this had on our evolution? Some researchers claim that primates have a natural aversion to snakes, and that humans have evolved specific snake-spotting abilities (please see article below). Definitely food for thought, considering the size of the Agta people and the frequency with which they must have encountered large pythons over the centuries. I recently read an article on this and I must that it is quite amazing. I have been watching videos on huge reticulated pythons coming out from Indonesia ( Kalimantan, Sulawesi and Java) and based on those, large pythons seem to be quite common over there. In some of these videos, the snakes seem to be about 6 to 7 m. Pretty impressive! Do you have any idea why the largest specimens seem to be present in Indonesia even though these snakes are present across most of Southeast Asia? Thanks. Thanks for your interest. We often see a good deal of variation in the sizes of animals with wide ranges; genetic variation between populations is likely a factor in some cases. For example; of thousands of wild-caught Marine Toads that have come my way via field and zoo work, sizes seem very stable – rather small in central Venezuela, often large in Guyana, etc. With snakes, accessibility of habitat (to people) also matters; during the course of tagging over 500 Green Anacondas in llanos habitat, I never came across one over 17 or so feet in length; other studies bear this out. In deeper rivers, larger individuals are seen and photographed. It’s quite easy to find them in the dry season on grasslands, but difficult in rivers. people tend to see, and often kill, large individuals in some habitats. Diet may also play a role…just from casual observation, I and co-workes noted large individuals in areas rich in capybara and other large prey items, less in areas were birds and fish and iguanas seemed to be the main prey; in other species, food availability/type plays a role in ultimate size. In Indonesia, all these factors could be at work. However, videos and photos can be quite deceiving. 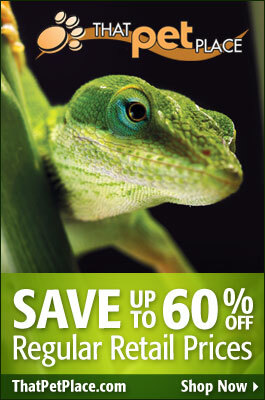 The Bx Zoo offered a $50,000 reward for a 30+ foot long snake of any species, yet it remained uncollected for 100 years. When I worked there, we received very convincing photos of a huge Retic captured in Borneo, said to be near 30 feet. We purchased the animal, which upon arrival proved to be a “mere” 19 feet long..impressive, but not what we had bargained for (no refund policy, however!). 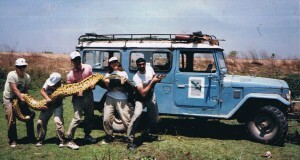 You might enjoy this these article on Anaconda Field Research and Anaconda Attacks. Thanks for the info! Hence is it possible to find large retics on small island where large preys like wild pigs are present? If you were on a quest to find some giant retics in the wild, where would you go? (Any specific location in mind? )These snakes are known to be found near water sources. Are there any other aspects to be considered while searching for these snakes? Thanks. My pleasure…I have more field experience with anacondas and boas than retics…based on that, it’s typical to find larger individuals further from developed areas, or in habitats in which they are difficult to find. i.e. in the dry season, llanos-dwelling anacondas are easy to spot, but those living in deeper rivers, even near people, are rarely caught. A co-worked has photoed quite large ones Guyana – not far from villages, but out of reach. Small islands often house extra large creatures, if a food base is there – Komodo Dragons, Galapagos Tortoises and others are good examples, but they may also be easier to find (by people) on islands. 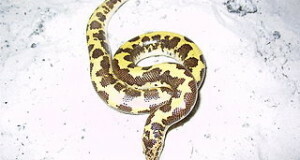 Retics are drawn to human habitation, and are common in Singapore and Bangkok, for example. keepers at the Singapore Zoo told me they lost a 40 pound Cape Hunting Dog to an at-large retic awhile back. But larger individuals in such areas always draw attention, and are captured. I’m going back to the Philippines in a couple of months, I would love to get to see some of these snakes in the wild. Hey Frank, your old pal from London here. Last trip to Philippines we removed a six foot python from the father in laws back yard (released safely several miles from civilisation) Thats Surigao in the north of Mindinao. If you fancy further research your always welcome to a bunk and I can hook you up with a local guide as well. See you soon. A large python was spotted coiled around and consuming a monitor lizard recently on our local hiking trail here in Thailand. Some of us are a bit concerned for our lives as most of us use this trail alone and there are usually no other people. I can’t seem to find info on the methods these snakes use to nab their prey though I have heard it might start with the snake biting into and holding on. I also haven’t been able to find how speedy these things are – across land if they wanted to attack, or in coiling around their catch. Or the best way to arm oneself in big snake territory (a knife?) – and fight back should it become necessary. I love this article. I have 2 Burmese pythons. One is albino. Most people think that they would bite them(or eat them). But they are very nice. I hold them all the time. Thanks for the kind words, and I hope all is well.